by Dr. Bonnie McLean, O.M.D. Integrating the best of modern technology, natural medicine, and empowerment of the patient to provide the best healthcare possible. 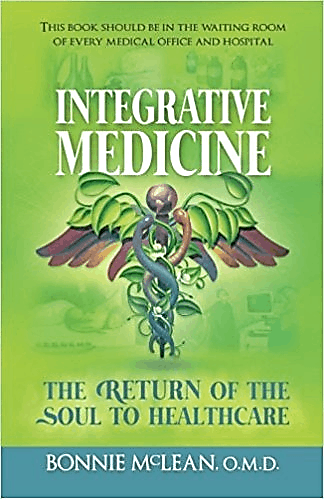 “Like the best books about health care, Integrative Medicine: The Return of the Soul to Healthcare is written by someone who’s been both patient and healer. 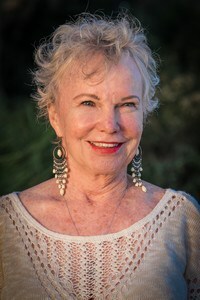 Bonnie McLean, a doctor of oriental medicine in Pensacola, spent 20 years as a registered nurse before leaving a broken healthcare system to embark on a second, 35-year career as a natural healing practitioner. By immersing herself in therapies rooted in ancient and indigenous medicine, she learned not just to guide other people to better health, but also to resolve her own chronic health problems naturally. Those parallel journeys, professional and personal, radically changed her life. Now, as an author- her third career- McLean shares her story and explains the foundations of integrative medicine, the East-meets-West approach that she believes is the future of health care. Integrative Medicine is at once encyclopedic and engaging. McLean paints a compelling portrait of her World War II dad, a surgeon, and her mom, a nurse, who, like many of their generation, battled their demons by drinking and smoking. Her dad almost certainly suffered from PTSD; McLean later did too, as the child of alcoholic parents. But her dad was also the healer modern medicine now mourns. He made house calls. His patient knew his home phone number. He was also atypically enlightened; he sought out acupuncture for his vertigo and tinnitus, and homeopathic remedies for McLean’s asthma. Certainly McLean learned from his example what to do and not to do when it came to her patients and her own health. It also left her open to trying holistic healing in the 1970’s, when that concept gained traction in the United States. Plagued by chronic illness and depression, she explored acupuncture, Chinese medicine and nutritional therapy, marveling at her body’s ability to heal itself given patience and support. At the same time, she was growing disenchanted with her job as a registered nurse whose patients had no voice in their own health care. The rest of her story- her long journey of healing and being healed- is expertly woven into the more academic discussion of integrative medicine. A remarkable thing about this relatively compact book is how much information McLean manages to include in it without overwhelming the reader. She summarizes the vast history of Western medicine- how we got from Mesopotamian healing, with its similarities to Chinese medicine, to the American system of corporate health care. She profiles pioneers in holistic and integrative medicine- cultural icons ( Dr. Andrew Weil, Dr. Deepak Chopra ) and lesser-known luminaries ( Louise Hay, Dr. Norm Shealy )- and explains the basics of ancient healing systems ( like Ayurveda and Oriental medicine, which have found fresh life in Western Medicine. McLean discusses the science behind natural treatments that are gaining popularity in the West, such as quantum ( energy ) medicine and acupuncture, and explains how something intangible like stress triggers a tangible physiological response. But she also discusses esoteric subjects still largely unknown here, such as spiritual and shamanic healing. She uses her own experience to illustrate how these ancient, often misunderstood practices can complement traditional medical treatments. But McLean doesn’t leave the subject there. She also takes on the tar baby of American politics- the U.S. healthcare system- and lays out a practical and moral argument for extracting the profit motive from medicine and using an integrative medical model to make health care more effective and affordable.